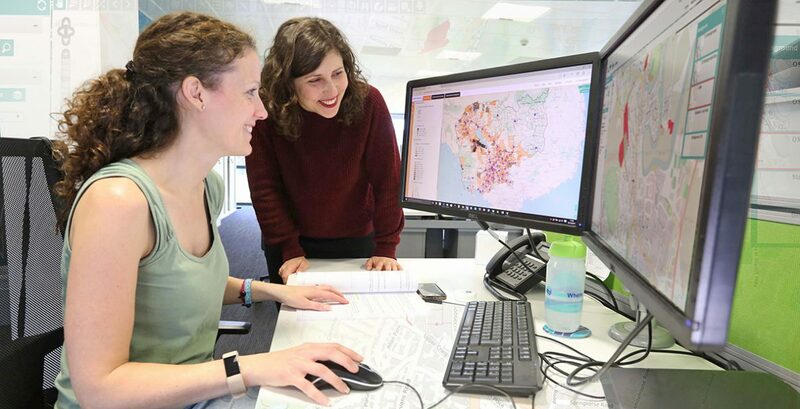 Scottish Geographic Information Systems (GIS) company thinkWhere is setting its sights on global expansion with the launch of a new cloud-based platform for GIS and geographic data. theMapCloud allows maps, open data and business records to be accessed anytime, and anywhere, through a web-connected computer or mobile device. Using standard web browsers, users can view, retrieve and share maps, geographic data and other open datasets and, as well as providing a platform for GIS and other web applications, theMapCloud can be used for a host of data services and Software as a Service (SaaS) applications. theMapCloud is a fully-managed cloud-based platform and spatial data infrastructure offering Platform-as-a-Service (PaaS), Data-as-a-Service (DaaS) and Software-as-a-Service (SaaS) capabilities. The platform adopts a Service-Oriented Architecture, implemented via fully documented, industry standard RESTful API’s. Built with the latest Cloud and Open Source technologies. theMapCloud is highly secure and offers protection via HTTPS encryption and token-based authentication. The database and GIS technologies sitting beneath the API include Open Source technologies such as PostgreSQL & PostGIS, GeoServer and MapProxy. Hosting is on a cloud infrastructure offered by Amazon Web Services (AWS) and managed by thinkWhere which allows theMapCloud to offer flexible, reliable, scalable and high performance web services and is an established, cost effective solution with options for PAYG. theMapCloud offers datasets from various publishers as OGC compliant web services (WMS & WMTS). Datasets include GB wide Ordnance Survey commercial and open products such as OS MasterMap and OS Open Map Local, with various styles available for each product. All OS data is managed and updated in line with OS release cycles. Other publishers include OpenStreetMap where the full UK dataset has been re-projected to British National Grid and is available as a data service.